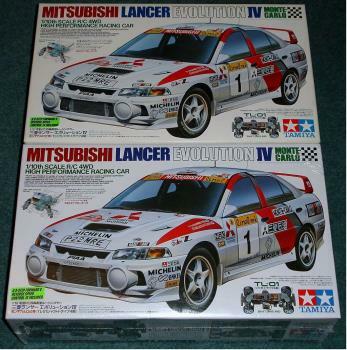 One of the series of Mitsubishi Lancers Evo's that Tamiya have faithfully reproduced. 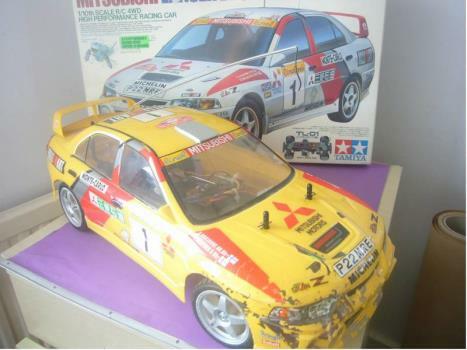 Now the rarest Evo this car runs on the TL-01 chassis. 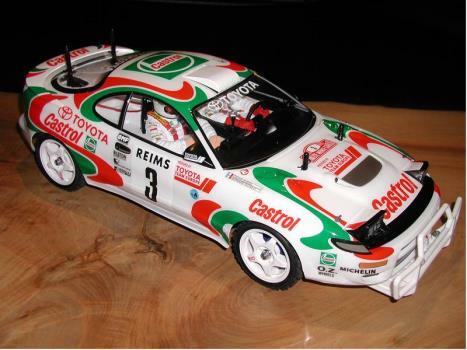 Tamiya's amazing bodyshell is for the car driven by Tommi Makinen on the World Rally Championship. A great looking kit. 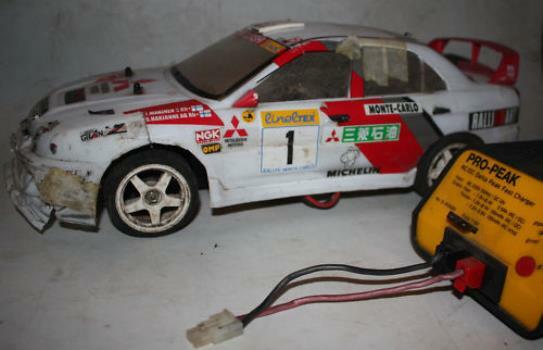 Good learner car, infact any TL-01 chassis will do, but this has a simple and strongish body shell. Rock solid chassis. Comes standard at about final drive of about 7. something good for 20-15 MPH running from standard. This will take any 540 motor (For the newbies). 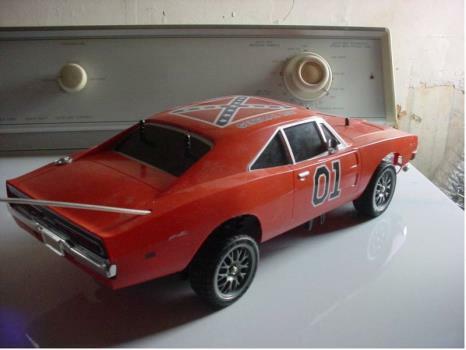 Suspension from standard is rubber dampered coil-over shocks. It is 4WD so it doesn't spin much at high speed (Good for a newbie trying improve his driving). Kit is all plastic (All running gear is steel/alu except gears). 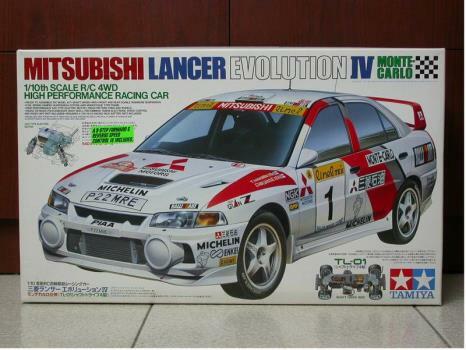 Overall quality is not there, this is probably because the TL-01 is a mass produced car.